Saul is always looking for new opportunities… everywhere. So we helped him a hand. 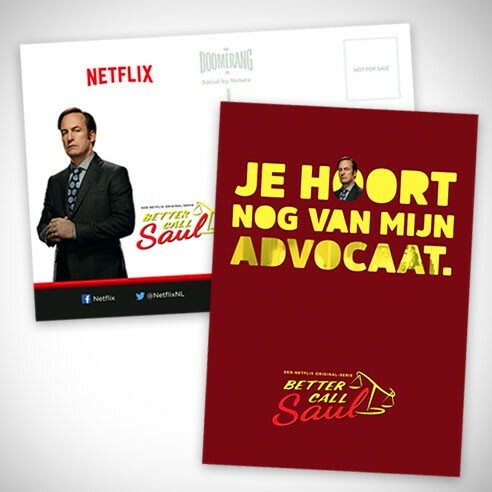 For the second season of the Netflix Original Better Call Saul we used dynamic banners in Belgium and The Netherlands to make Saul react in real-time to certain situations. We extended the concept to digital outdoor, Boomerang cards and fun saddle covers. 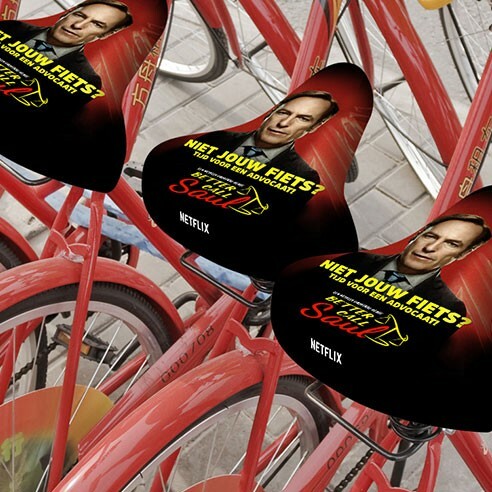 Every banner consisted of a fun animated gif from the series, video and smart copy. We started off preparing general banners that could work for different situations. Every time an opportunity popped up in the news, we rushed to our writing desk to create real-time banners. Some parts of the mobile ad campaign used very precise location targeting to serve relevant ads to university students in schools and travelers in public transport hubs. Our digital outdoor campaign focussed on elements of the space it was located in. This way, they became more recognisable, fun and relevant. In this case, we used the copy ‘Derailed? Time for a lawyer!’ in train stations. There’s always a situation you could use a great lawyer for, especially when going out. So we created Boomerang cards – free postcards that are distributed in bars and public venues. 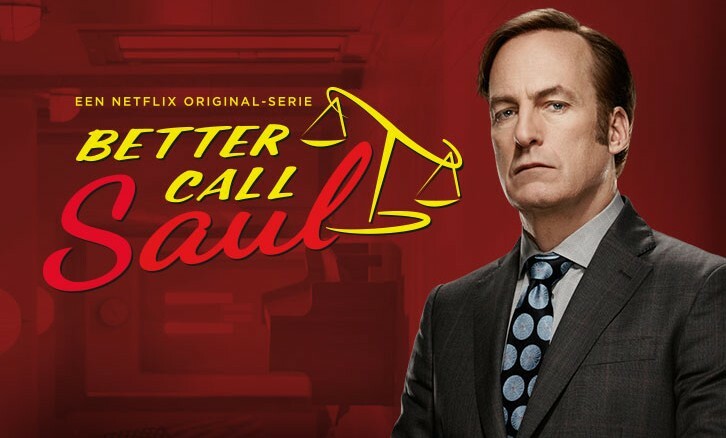 Netflix’ marketing team came up with the fitting copy line “You’ll hear from my lawyer”. You’d better not mess with the owner of this card!